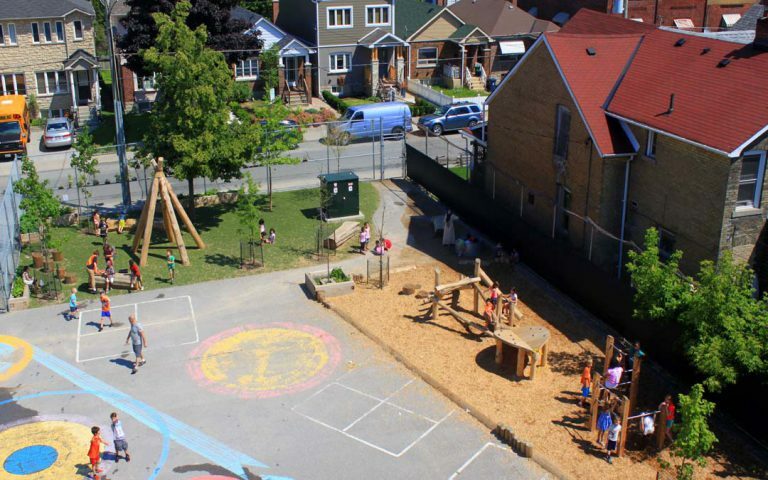 La Mosaique had a vision for their playground but they were severely constrained by space that was dominated by ashpalt. 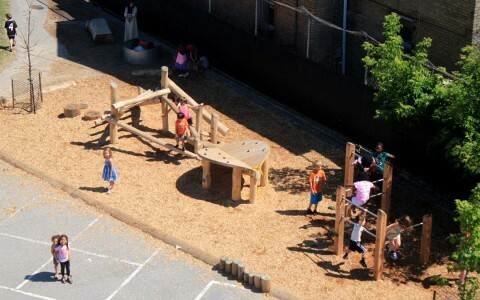 They wanted a more natural landscape where each child could find his/her own place to play. 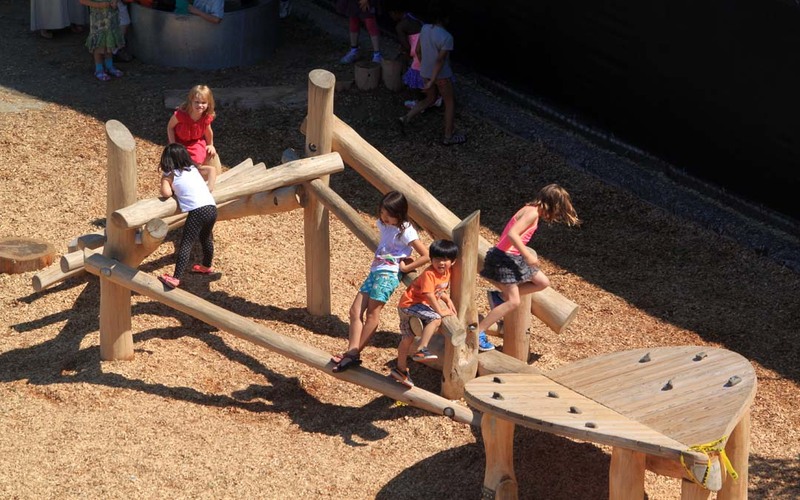 In this design there are spaces for quiet contemplation, spaces to interact with friends and places to challenge their gross motor development. 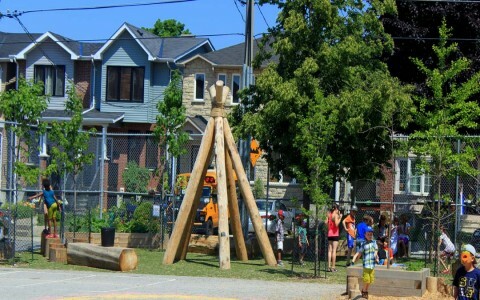 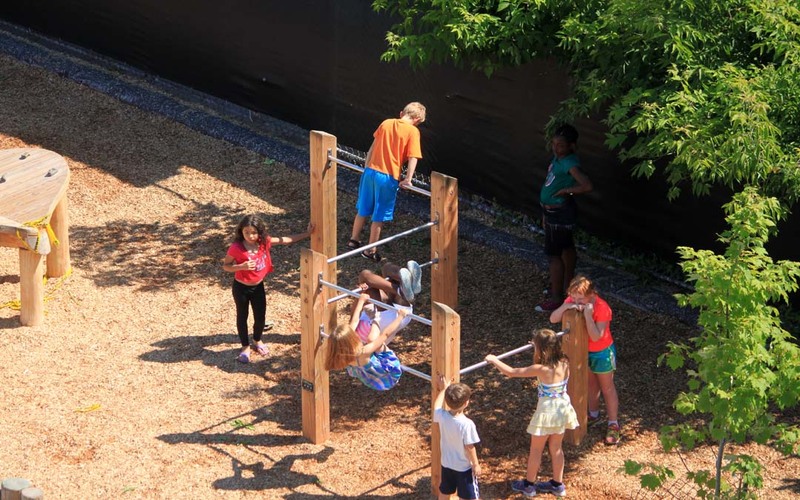 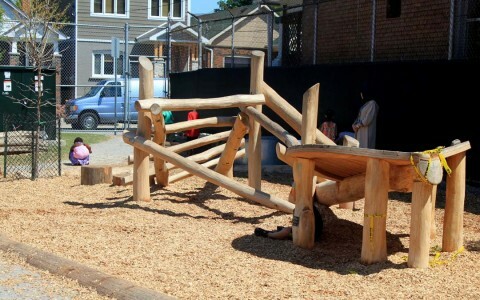 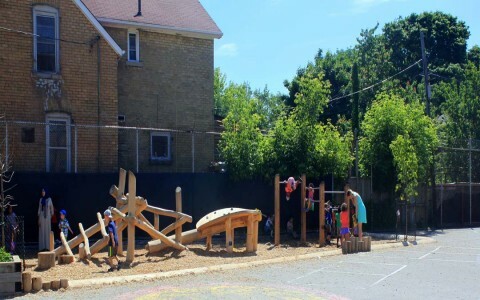 The featured natural play structure is a smaller-scale log jam where children can balance, crawl, climb or just hang out. 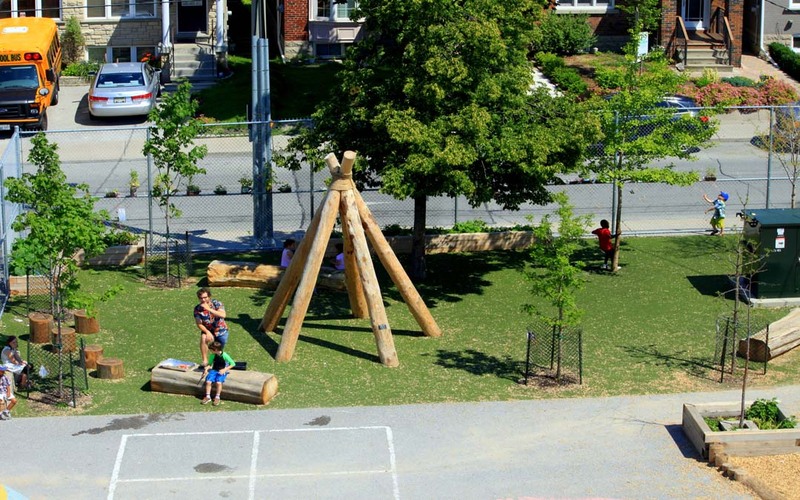 The site was also designed to be a park setting for neighbourhood gatherings after school hours.